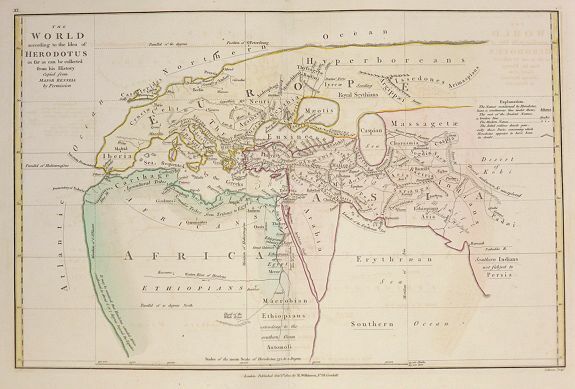 Old map by WILKINSON -Ancient World according to Herodotus. Publisher: WILKINSON, Robert / Bourne, E.
Title: Ancient World according to Herodotus. Size: 11.0 x 16.5 inches. An 1802 version of Herodotus's map of the world engraved by E. Bourne Published by R Wilkinson, No58 Cornhill London October 1st 1802.